This little Tardis is super festive, perfect for the holiday season! 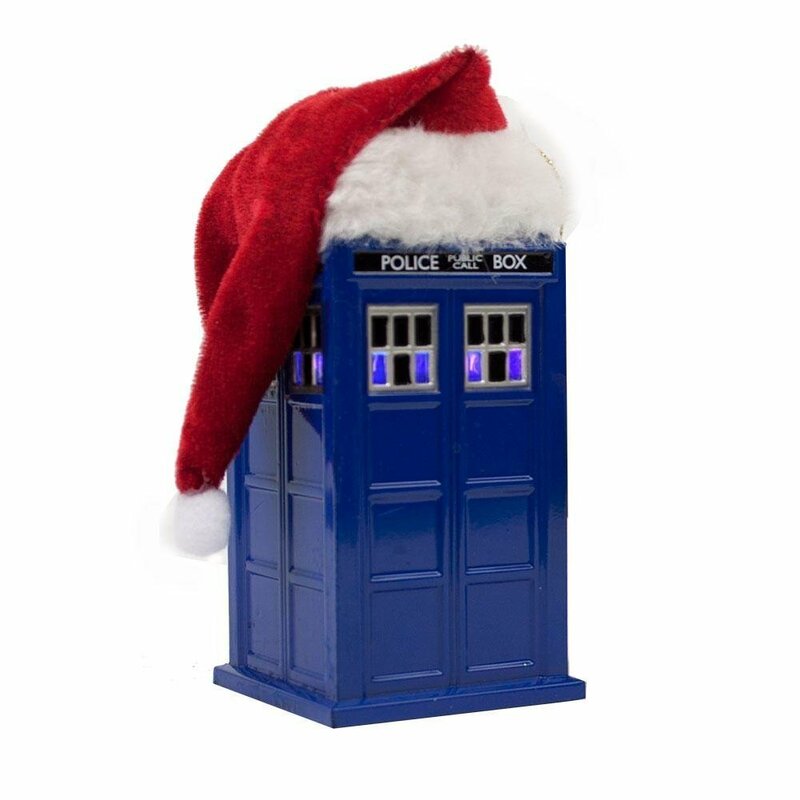 The iconic blue Police Box from the Doctor Who outfitted is wearing a plush Santa Hat, ready for Christmas! 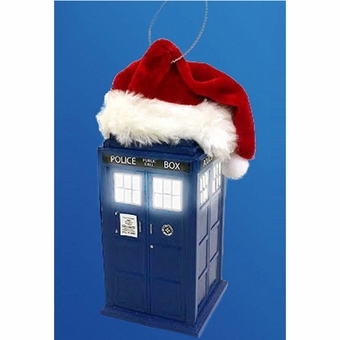 In addition, the Tardis lights up thanks to an LED! This would make a fantastic gift idea or stocking stuffer for a fan of the show!